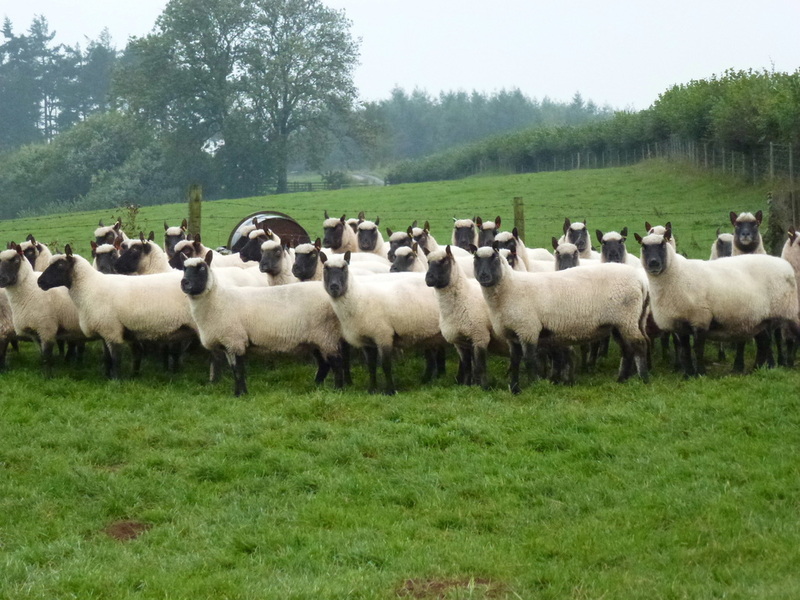 The Flock Competition is now a firm date every 4 years, making 2017 an “Olympic” year for the Clun Forest Sheep Breeders Society. 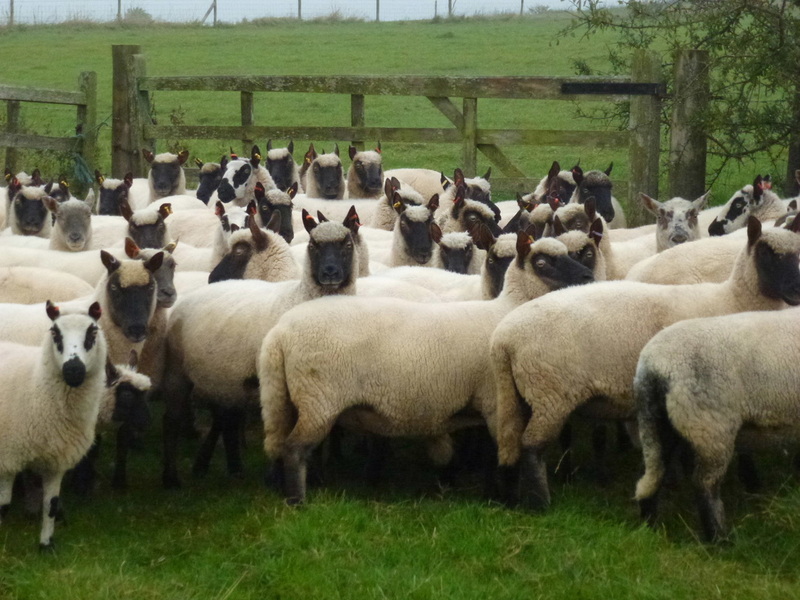 This ‘Olympic’ format is proving to be very successful with the number of breeders entering up by 25% from 2013 by 4 to 22 entries. 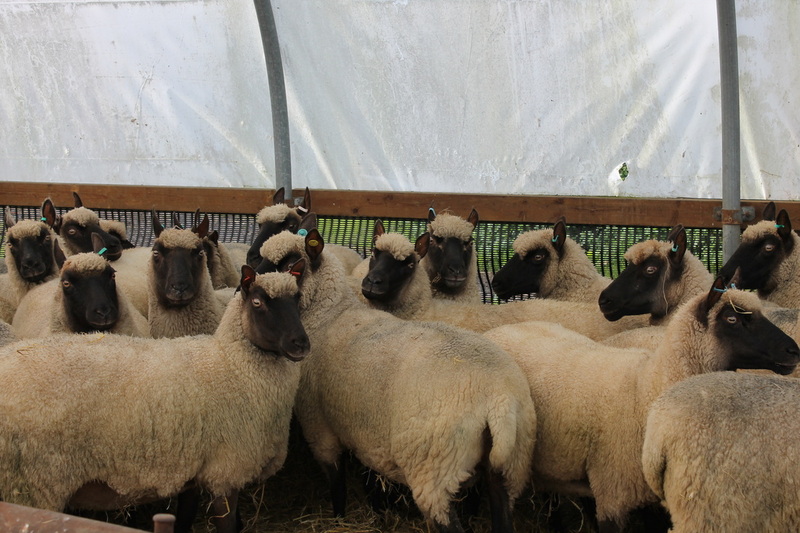 The Competition was judged by Brian & Ann Davies (Honddu Flock) who are experienced judges and successful show competitors. 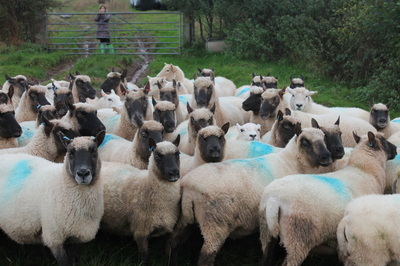 They travelled 2456 miles across the UK over several weeks; going as far North as Aberdeen to judge Callum Lumsden’s Flock and South to Caroline Solly’s Flock in Rye, East Sussex. They journeyed the breadth of the Country; to the West to see Gary Phillip’s Flock in Carmarthenshire and as to the East to Hertfordshire to Del Knowles. 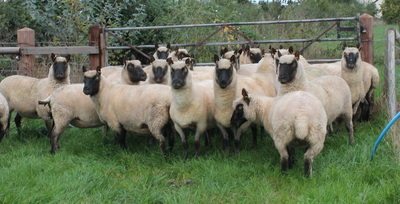 They also sponsored a prize for the ‘Best Homebred Ram Lamb. The judges were very impressed with the standard of the stock, and particularly the enthusiasm of the young breeders, Kiera Newey, Hannah Mason, Wayne Davies (Grandson of Ted Griffiths, Menutton) and Callum Lumsden (Grandson of Lewis Beddie, Easter Beltie). Competition was keen in all classes. 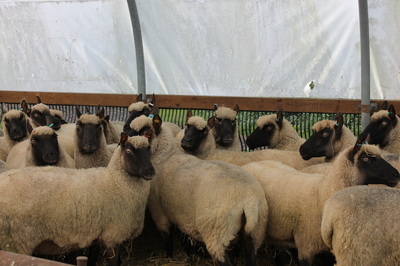 However, the first 6 flocks in the Small Flock and Medium Flock classes were especially close. Flock Management (30 Marks) – the judges looked at health and welfare aspects of the flock, e.g. free of foot-rot, skin conditions, in good condition for the time of year, clean with good fleeces etc. Flock Improvement (30 Marks) – the judges looked for progression within the flock due to selective breeding, i.e. 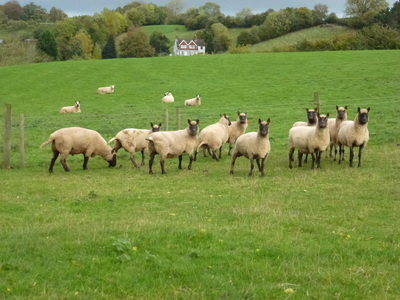 the improvement in the young stock, ewe lambs and yearlings against the older ewes. 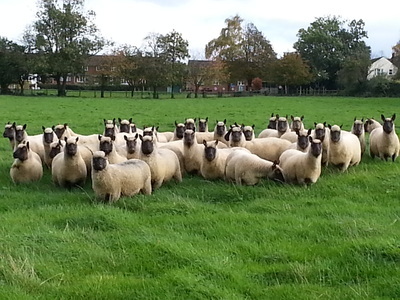 They also considered whether the improvement was due to bought -in stock or own bred; for instance, they were pleased to visit one flock where all the ewes had been bred on-farm and were to a consistently high standard. Stock Ram (10 Marks) – The Stock Rams were judged in terms of their performance as a sire and the quality of their progeny and not looks alone. These criteria were also used to identify the winning Stock Ram. 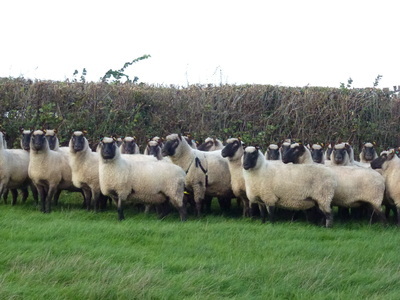 It was great to see new flocks such as Foxglove, Kibee, Low Barn, Meadowlands, Sollys & Purlogue, which have joined the society since the last competition in 2013, take prizes home. But a big thank you to all those who competed and finished outside the top 3 in each Flock section. 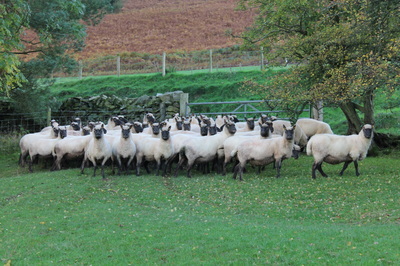 Class 1 - Confined to hill flocks whose land and house lies at an altitude of not less than 600 feet above sea level., and not more than 300 acres in extent, including hill or moor land. Class 2 - Open to all other members of the C.F.S.B.S. not eligible to compete in Class 1. The winner of this inaugural competition was Mrs. Davies, Paradise Farm, Presteigne for Class 1 and there were joint winners for Class 2 with C.J.Pugh, Amyestrey and J.Goodwin, Willows. This initial competition attracted 31 entries, but despite this success it was not be repeated until 1938, when it was to return with gusto and a new lease of life that was to last unbroken over 60 years. The 1938 competition was again driven by Stewart-Rankin and had one Class, which was open to Clun Forest Flocks ‘not exceeding 200 females’. 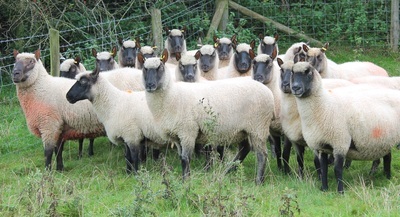 This time the winner was the ‘Leominster Flock’ which was owned by G.Henry Treasure an name synonymous with Cluns. 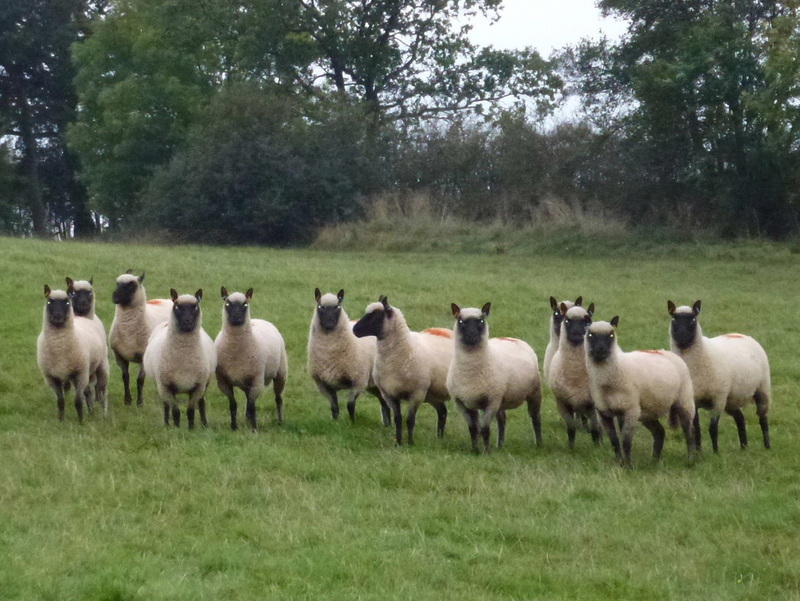 In 1946, such was the strength of competition entry and the growth of the breed across Britain that a third class was added for the Best Medium Size Flocks and the ‘Harcourt-Webb Challenge Cup’ was secured by another well known flock of ‘Lawtonbury’ and W.R.Lyke. 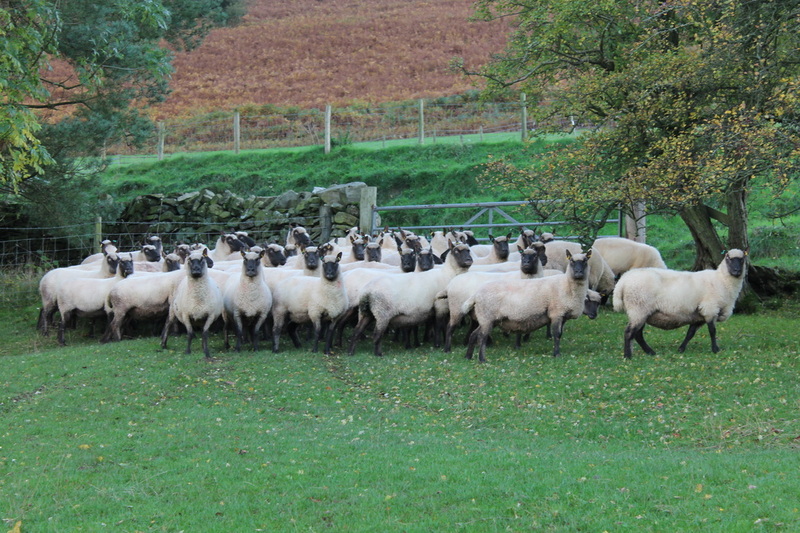 Also in 1946 the ‘John Marsh Prize’ for the Best Flock containing up to 160 Yearling Ewes and Ewe Lambs was added. However, this class only ran until 1951with Mrs. Davies, ‘Paradise Flock’ and C.M.Harris, ‘Rockhill Flock’ winning it more often than not during that time. In 1952 a strange situation occurred when the magnificent ‘Sir Hubert Stewart-Rankin Cup’ literally disappeared and could not be found and was to remain lost until 1984. So a replacement cup was found in the form of the ‘Geo.A.Treasure Challenge Cup’. In 1954 Bill Williams of the famous ‘Brobury Flock’ won the ‘Harcourt-Webb Cup’ for the third time in six years and thus outright. This was replaced by the ‘John Bourne Challenge Cup’ which in turn was won outright in 1964 by Sydney Price and his ‘Wellington Flock‘ and he replaced it with the ‘Wellington Cup’. 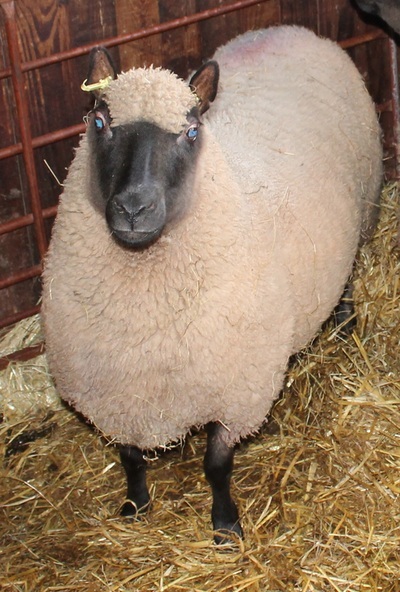 The Small Flock ‘Geo.A.Treasure Challenge Cup’ was also eventually won outright in 1964 by Dennis Boston and his ‘Cranebrook Flock’. He in turn replaced this cup with the ‘S.D.Boston Cup’. 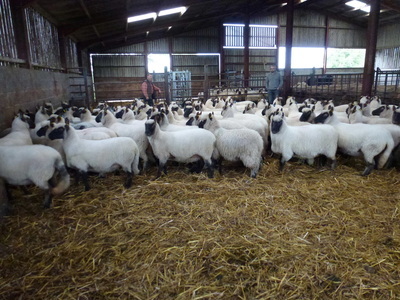 This format of annual competitions and 3 Classes was to continue until 1967, when it was decided to add a fourth class for Smallholders and the ‘A.G.Hayward Cup’ was presented and won by A.G.Hayward of the ‘Byletts Flock’. In 1975 to mark the 50th Anniversary of the formation of the society 2 new classes were added, firstly there would be an award for the Supreme Champion Clun Flock drawn for all entries with the winner receiving the beautiful ‘Elkstone Trophy’ and secondly Sydney Price of the legendary and recently dispersed ‘Wellington Flock’ gave ‘Sydney Price Cup’ for the ‘Best Ewe Lambs’ in the competition and was won by Major J.E.B.Pope of the ‘Ashwicke Flock‘, Tetbury, Glouscestershire. 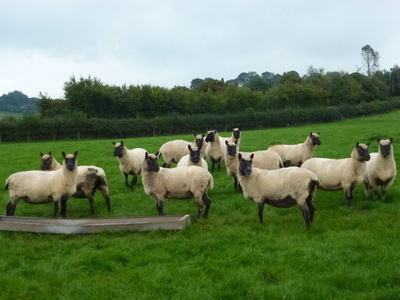 The Elkstone Trophy had been donated to the society by the then Society President, John Price, and was a truly worthy award for the Supreme Champion Clun Flock and its first winner in that anniversary year, Harold Thomas and his fantastic ‘Buckland Flock’ from Docklow, Leominster. He was to win it a further 2 times in 1986 and 1989. The next new classes appeared in 1983, when sponsorship first occurred and the agri-chemical company Ciba Geigy donated the ‘Ciba-Geigy Cup’ for the ‘Best Stock Rams’. Also that year master show woman, Jean Ritchie, donated the ‘L.C.Palmer Perpetual Silver Salver’ in memory of her father, for the ‘Best Yearling Ewes’. It was diminutive shepherd, Chappie Francis and his ‘Llandegeman Flock’ from Tretower near Crickhowell that took home both these cups along with the Elkstone Trophy. In 1984, ‘Sir Hubert Stewart-Rankin Perpetual Challenge Cup’ reappeared after a 30 year absence and was used to replace the ‘S.D.Boston Cup’ which had been won outright by Les Jones and his ‘Broadfield Flock’. 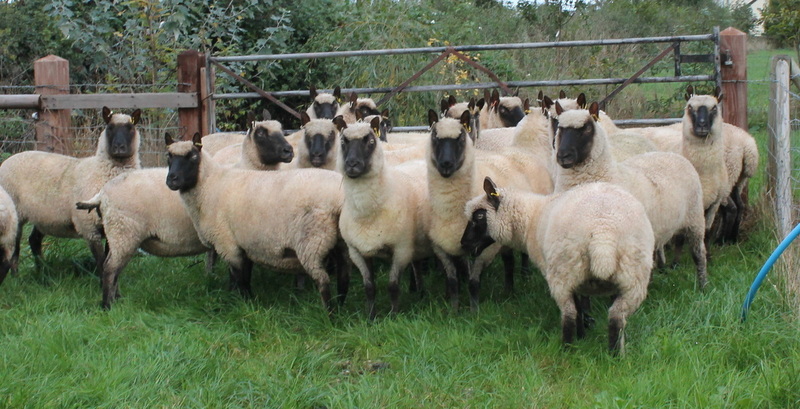 Also around this time that a ‘P.M.Evans Prize’ was awarded for the ‘Best Flock in Scotland’ this ran in every competition until 1999 and the names of Beddie, Croal and Laidlaw were always in the mix for top spot with Lewis Beddie going on to win the Elkstone Trophy twice in 1984 and 1995. As judges costs spiralled and following the 1991 competition, it was decided to make the competition bi-annual, so the trophies would be held by their winners until 1993. 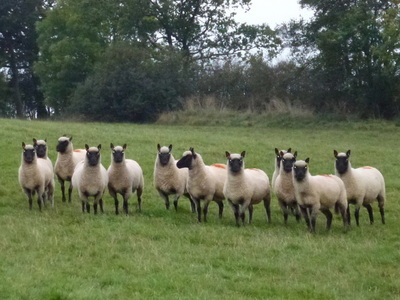 This format remained until 1999 when Tommy Francis’s ‘Guifron Flock’ took the Elkstone Trophy for the first and only time. 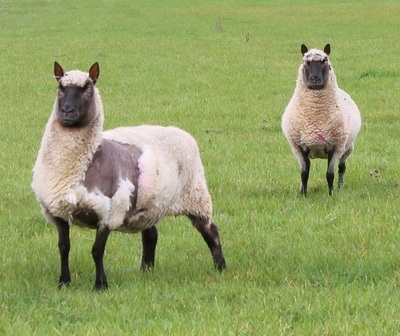 Then in 2001 with the society and the breed in a real low there was a lack of enthusiasm, interest and organisation and it was not held for the first time since 1938. 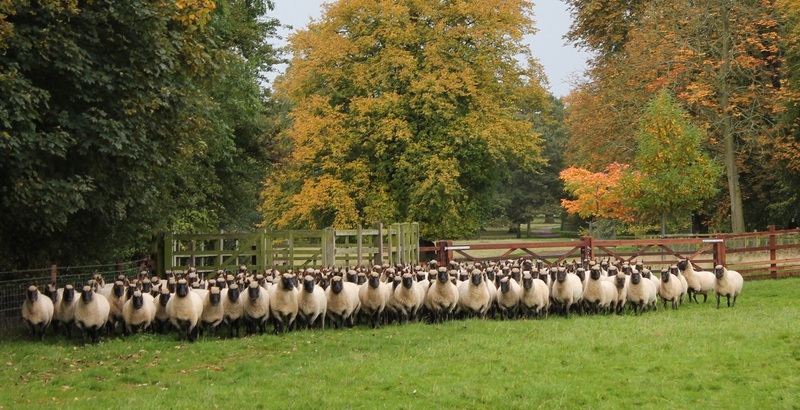 This hiatus continued until a new secretary, Diana Lavers breathed new life in to the society and organised a competition in 2005 and it was to be a familiar name at the top of the pile when the Treasure Family and their ‘Stocktonbury Flock’ won the large and Supreme Flock Awards. This revival was short-lived and when the secretaries change, so did the momentum and it wasn’t until 2013, when Sandra Williams took over the secretary post, that the competition returned in the digital age. 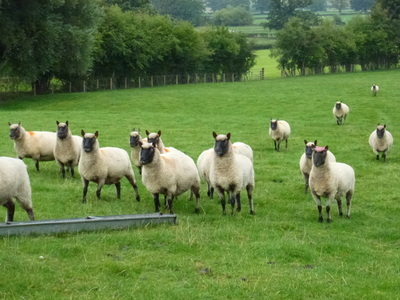 There to be new names on the trophies as flock that had been founded in those previous 8 years ‘had a go‘. 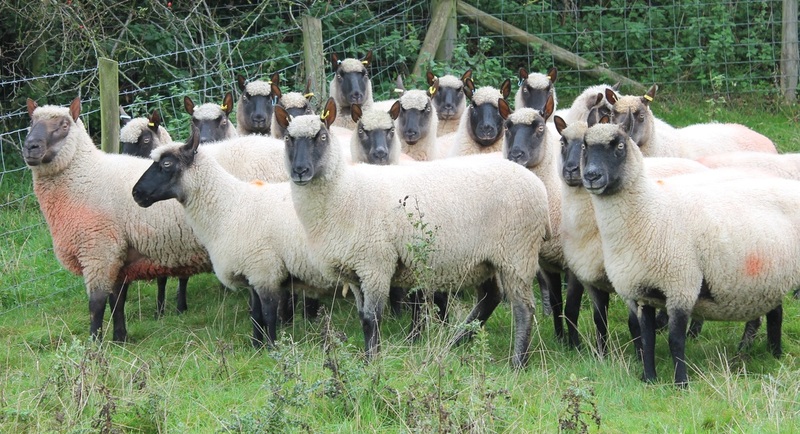 The ‘Nene, Pixie and Wollerton Flocks’ won classes and they were joined by the oldest registered flock in the United Kingdom, as Mark Lloyd and his ‘Sarnesfield Flock’ won the Elkstone Trophy. It was to be the first time that the results and the pictures could be shared on line via the website and Facebook page and people were again connected to the competition. Following the success it was decided that it could not lapse again and the decision was made to hold it like an 'Olympic Games' every 4 years. This would mean a competition in 2017, 2021 and during the Centenary Year of 2025. S0 WILL YOU HAVE A GO AND WRITE YOUR NAME IN HISTORY IN 2017?